Would ewe believe it? 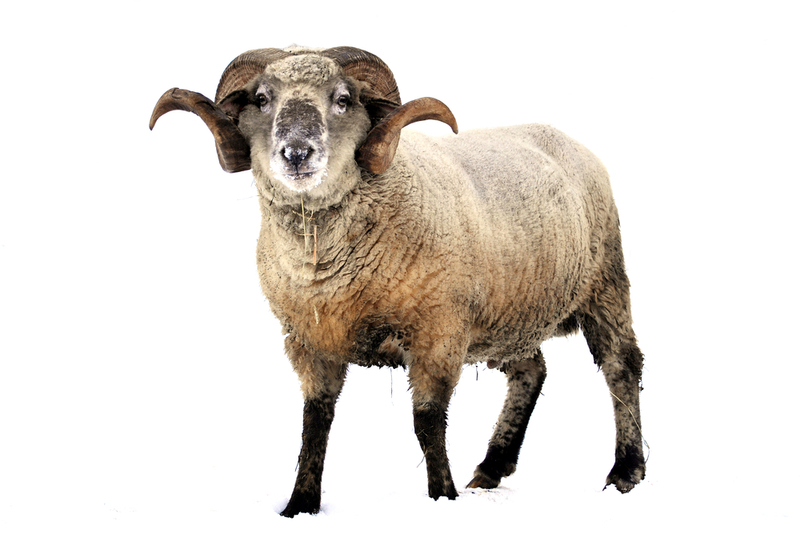 GM1, sheep and Huntington's disease - HDBuzz - Huntington’s disease research news. It takes a lot of research to decide whether a new treatment is ready to test in humans. A few years ago, we reported that a ‘brain fat’ called GM1 is reduced in HD, and replacement therapy showed potential in mice. Despite rumors you may have heard, it’s not ready to try in the clinic. But if preclinical research continues positively, there may be a surprising potential source of GM1: the brains of sheep. In the push to find new treatments for any disorder, many research paths converge upon the most promising candidates. For a drug to make it to clinical trials, researchers must repeatedly demonstrate that it works in the lab when tested in different ways. Our understanding of how and why a treatment works is essential to its success, so there are high expectations for what we need to know before we start testing in humans. A few years ago, we reported on a fatty molecule called GM1 that was linked with HD. It’s important for nerve cell function, and it seemed to be lacking in HD brains. When scientists replaced it in HD mice, they were surprised to see significant recovery. One media source recently suggested that a clinical trial of GM1 for Huntington’s disease is on the near horizon, using GM1 from an unlikely source – the brains of sheep. GM1 may eventually be a candidate for testing in humans, but the story is more nuanced than the press reports have suggested, and we’d like to clarify that account. First, let’s recap what we know about ganglioside GM1 in the context of disease. A ganglioside is a type of fat, but not the kind that weighs us down. Fats include many different kinds of oily, water-resistant molecules with critical biological functions. Gangliosides are fats that help to maintain a healthy nervous system. They can act as insulators for the brain’s wiring, so that messages between neurons can travel long distances more efficiently. They can float within a cell’s outer layer like a satellite, helping with communication from outside to inside. They are important during development and growth as well as in brain aging and repair. GM1 is a type of ganglioside that has gotten particular attention because of its link to brain disease. Nerve cells need just the right amount of this vital fat to function properly. We know that too much GM1 is toxic because an excess occurs in a rare but severe inherited disorder, GM1 gangliosidosis. A GM1 overload causes destruction of nerve cells in infants and young children. While an excess of GM1 has devastating consequences for brain function, a shortage of GM1 has also been linked to neurological disorders, especially Parkinson’s disease. In fact, GM1 replacement therapy has been tested clinically for Parkinson’s. With relevance to Huntington’s disease, HDBuzz reported in 2012 on a set of studies showing that GM1 levels were lower than normal in cells from HD patients and mouse models of HD. The most exciting finding was that injecting GM1 into the brain led to improvements in mouse behavior and health of their brain cells. Since ganglioside GM1 seems to be low in HD, replacing it is a possible clinical strategy, supported by the data we reported on a few years ago. But as a discerning HDBuzz reader, you know to regard promising experiments – and reports about them – with cautious optimism. 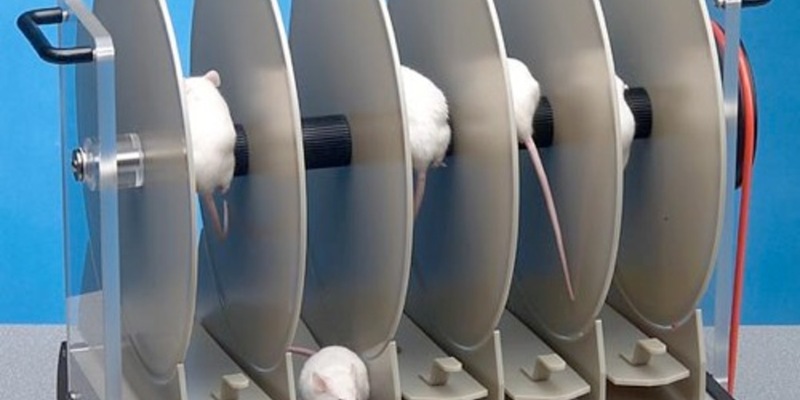 Those researchers saw recovery in one kind of HD mouse model when they treated the mice with GM1, but this finding has not yet been replicated in any publications since then. We also don’t have a very good understanding of why it worked. For any drug to gain approval for clinical trials in HD, we need rigorous preclinical research – that means experimenting with cells, mice, and possibly larger organisms – to confirm that it is a viable treatment strategy before testing it in humans. One or two encouraging reports on a branching avenue of research possibilities is rarely enough to begin planning for a clinical trial down the road. So if GM1 is not yet ready to move to the clinic in HD, what’s the buzz about it now? GM1 has gotten media attention recently in the HD community because of one couple’s commitment to a furry fat source. Dr. Larry Holler is a veterinarian and scientist who raises sheep that produce excess GM1. These sheep carry a mutation that causes GM1 gangliosidosis, similar to the human disorder mentioned above. This means that very high levels of GM1 accumulate in the brains of lambs that have the mutation. Holler published this sheep model back in 1994 as a way to model GM1 gangliosidosis in large animals, but more recently he and his wife Sue started a company and a nonprofit that aims to breed these sheep with the goal of generating GM1 for use in clinical trials. The logic is that if rigorous experiments demonstrate that GM1 is fit for the HD clinic, we’ll need a whole lot of it to test and treat many individuals. To this end, the Hollers’ new nonprofit has brought together a growing group of donors and farming families who have agreed to raise sheep in their flocks that could produce offspring with excessive GM1. The ganglioside could then be harvested from the brains of the lambs. But why would we need to get GM1 from sheep in the first place? “GM1 is problematic because it’s too large a molecule to be readily synthesizable,” explains Dr. Steve Hersch, a Huntington’s disease researcher and clinician at Massachusetts General Hospital who has consulted with the Hollers about the possibility of sourcing GM1 from their sheep. “It has been very challenging for people to make in quantities that could be used therapeutically.” We used to get GM1 from the brains of cows – until mad cow disease made this strategy too risky. The Hollers’ sheep have so much GM1 in their brains that they could be an efficient source, but only if we end up needing a lot of GM1 to treat patients in clinical trials and beyond. Though further experiments on ganglioside GM1 are in the works, we don’t yet have sufficient preclinical evidence that it is ready to be tested in humans for HD. Many researchers would question the purpose of expanding a herd of GM1-producing sheep before we have stronger evidence that GM1 could be used to treat HD. On the other hand, there’s a long history of research on this essential fat, mostly because of its link to Parkinson’s disease. Parkinson’s patients are also deficient in GM1, and research as early as the 1990s showed that boosting low GM1 levels in rodent models of the disease was advantageous. Scientists were also able to identify some of the molecular reasons for those positive results. Years of preclinical data from cells, mice, rats, and monkeys finally led to the design of a series of clinical trials of GM1 for Parkinson’s disease. When these clinical studies were designed and eventually published, they cited the many successful experiments that preceded testing in humans. From the outcome of several early clinical trials of Parkinson’s, we know that ganglioside GM1 is safe to use in people. However, human trials have not proven GM1 to slow down in Parkinson’s disease, and GM1 research in Parkinson’s has pretty much stalled. That suggests we need to proceed with caution in HD. Only a few papers have demonstrated a link between GM1 and HD. There isn’t enough evidence yet to try replacement therapy in HD patients. Because of its history, GM1 might be easier to move into the clinic than a brand new drug, so research is ongoing. Members of Hersch’s lab, for example, are currently working to replicate previous results using the new sheep GM1, delving into the reasons for its effectiveness in mice. Hersch has been working with the Hollers to build enough preliminary data to get government funding to move forward with preclinical research. That’s an important step for any academic research project. Their proposal includes pharmacology experiments in addition to development, manufacturing, and safety plans that would be necessary for FDA approval. The bottom line is that there’s a lot of work to do before sheep GM1 can be tested in people. The most important message we’d like to impart is that any person receiving an experimental treatment has the right to expect that it has been thoroughly researched beforehand, to make sure it is safe and has a reasonable chance of being effective. The Hollers’ sheep may provide a new way to navigate a common clinical roadblock: manufacturing a new molecule efficiently. For GM1, that roadblock may be quite far down the road – or we may not ever reach it, if other paths to treatment prove more direct. But since GM1 is still in the preclinical phase, the path remains open. Breeding sheep takes a while, so the timeline of this project is consistent with the possibility of a future need for GM1, if preclinical research continues to be promising. In the meantime, we can continue to regard media hype with caution. We can also rest assured that many scientists and clinicians are approaching a solution to HD from innovative and sometimes surprising angles.